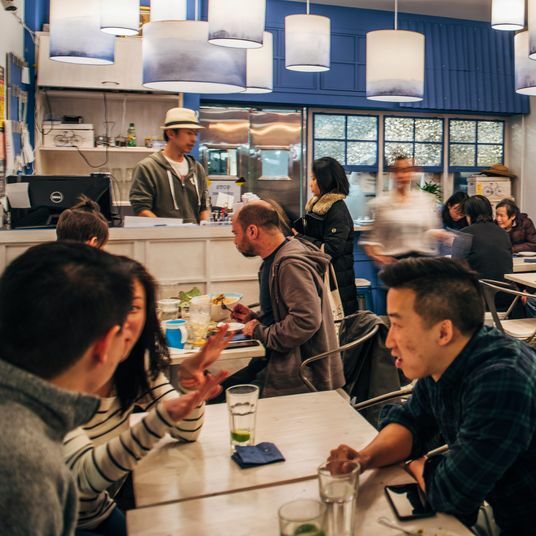 For a relatively sleepy area with a reputation as a haven for affluent families, Cobble Hill has a surprisingly strong and diverse (if somewhat small) array of restaurants. Bordered by Atlantic Avenue to the north, Degraw Street to the south, Court Street to the east and Hicks Street to the west, the neighborhood offers a globe-spanning culinary slate, with notable entries from Ethiopia, Yemen, Spain, and Japan, as well as several serious cocktail and wine bars with equally ambitious food programs. 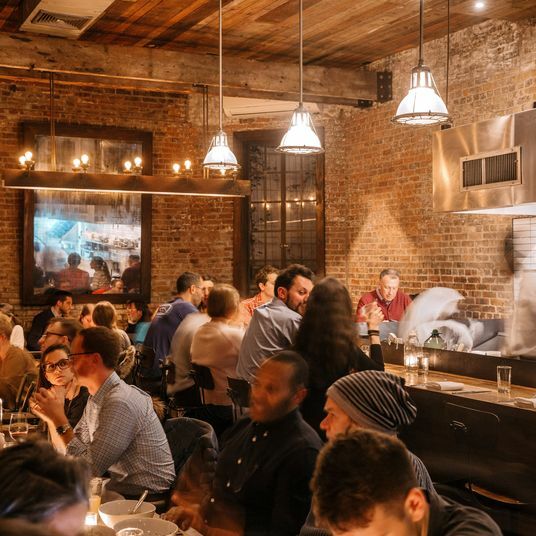 Here, the absolute best restaurants in Cobble Hill. 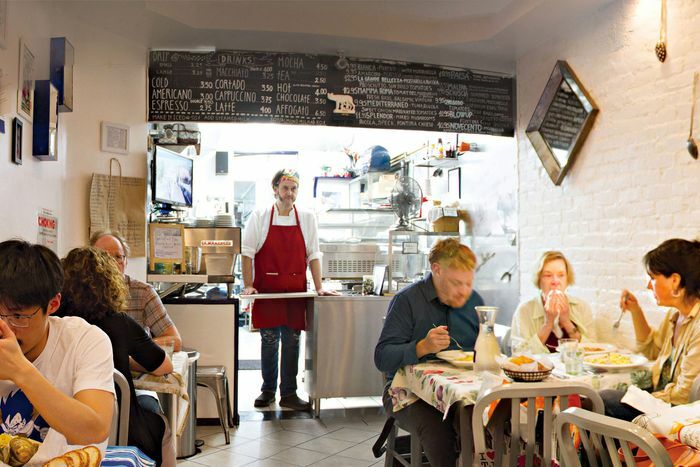 Tucked away on a quiet, leafy stretch of residential Clinton Street, La Vara combines all the elements of a great neighborhood restaurant — charming dining room, friendly service, moderate prices — with destination-worthy cooking. 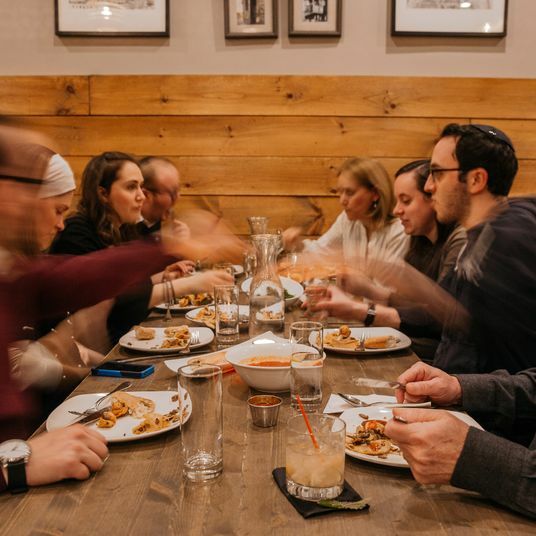 Chef-owners Alex Raij and Eder Montero also run the acclaimed Spanish restaurants El Quinto Pino and Txikito in Chelsea, but here their menu focuses on the Jewish and Moorish influences on the country’s cuisine. Diners fill the narrow brick-walled room nightly for small plates like artichokes, perfectly fried and drizzled with zingy anchovy aïoli, and crispy eggplant topped with melted cheese and honey, or larger dishes like the cumin-spiced lamb breast, crispy suckling pig with chimichurri sauce, and fideuá, a delectable Valencia-style noodle paella spotted with clams, shrimp, and squid. 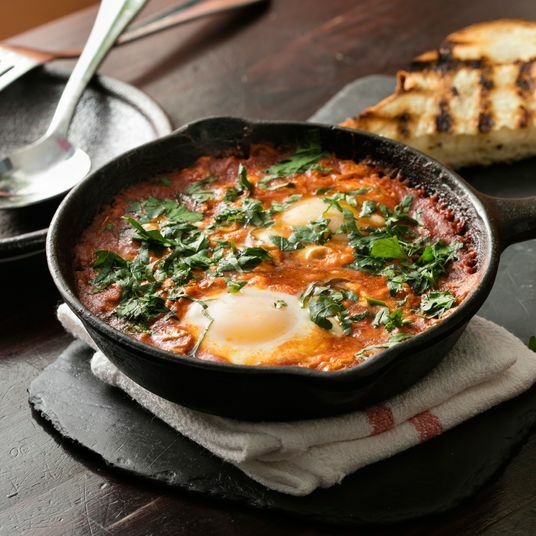 It’s also one of the area’s best brunch picks, with a proper Spanish tortilla, eggs with squid and morcilla, and an artichoke-and-fava stew topped with poached eggs taking the place of the usual midday standards. And on nights when there’s time to linger at the white marble bar, there’s a well-curated list of Spanish wines (with some unexpected bottles offered by the glass to encourage experimentation) and house cocktails, including four different takes on a gin and tonic. From the outside, Hibino looks like a pretty run-of-the-mill neighborhood sushi joint. 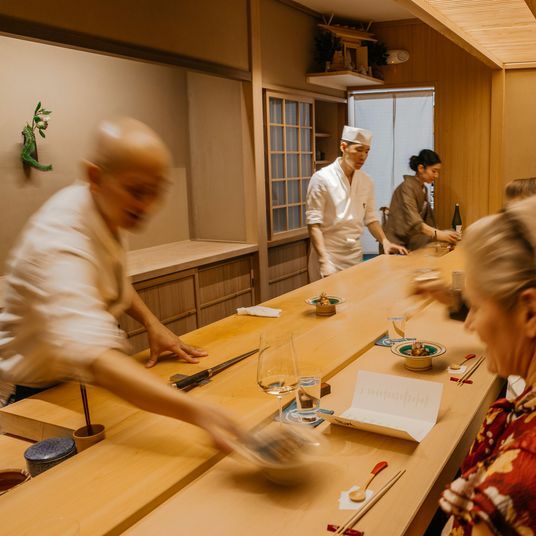 Step inside and you’ll discover why there’s often a crowd on the sidewalk waiting for a table: It’s actually one of the city’s best spots for quality, affordable sushi. The sushi plate features seven pieces of chef’s choice sushi, plus your pick of roll for $24, while a sashimi plate offers 15 pieces for $30. The fish is super fresh and well-prepared — even the standard rolls feel like they’ve had a little extra attention paid to them. Sushi excellence aside, the rest of the menu merits attention too, like the small jars of mellow, creamy fresh tofu livened up with grated ginger, scallions, and a soy-dashi sauce. 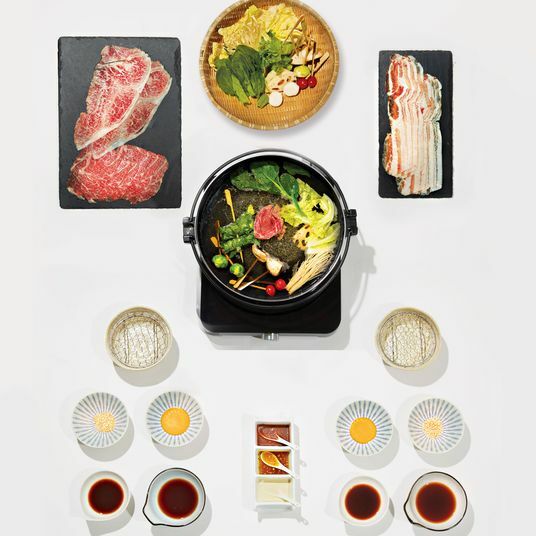 “Hibino” means “daily” in Japanese and parts of the menu do change each day; check their website for today’s selection of obanzai (Kyoto-style small plates), which could include anything from soy-simmered pork belly to a yam-noodle-and-kimchi salad. Neighboring Carroll Gardens may have the reputation as the go-to for Italian cuisine in the area, but this quirky newcomer serves hearty Roman food that’s worth venturing a bit north on Henry Street. 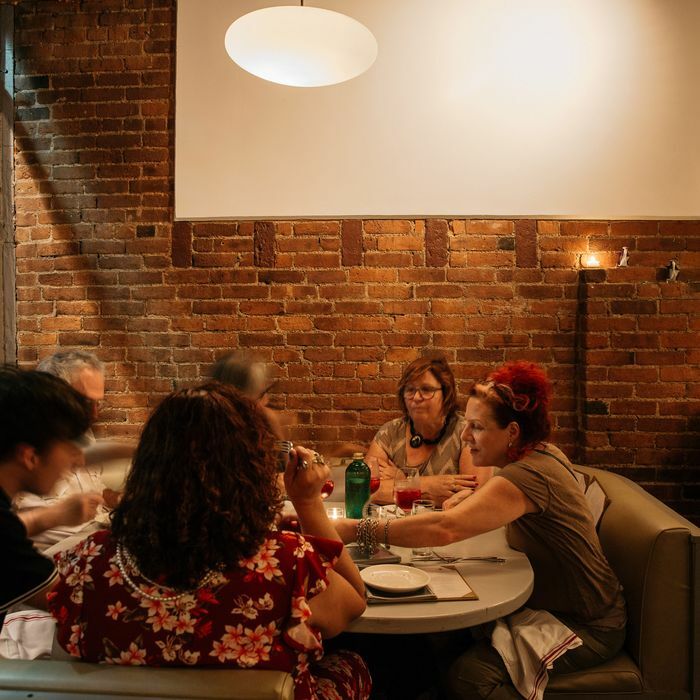 Chef-owner Giampietro “Lillo” Remia himself works the minuscule 17-seat dining room, acting as host, waiter, and busser, catching up with the regulars all the while. His menu rotates regularly, but is dominated by simple, classic pastas like cacio e pepe and gnocchi with tomato sauce, and a variety of panini, packed with buffalo mozzarella, prosciutto, Italian tuna, and more. Everything is deeply comforting and satisfying, like linguine con vongole cooked just al dente, the plump clams and burst cherry tomatoes mingling to create a briny sauce, or tender broccoli rabe tossed with soft chunks of roasted garlic. 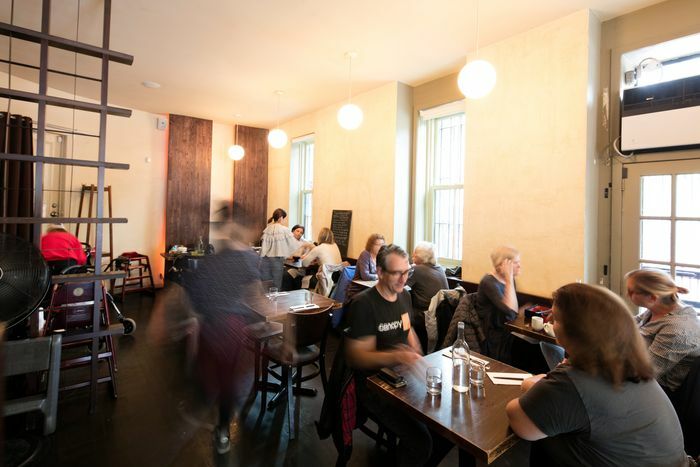 And dinner isn’t the only time to stop by — Lillo is also open in the morning, serving coffee and impressive homemade pastries to the commuter crowd. Whenever you go, just be sure to prepare beforehand: there’s no bathroom, no alcohol, and it’s cash only. 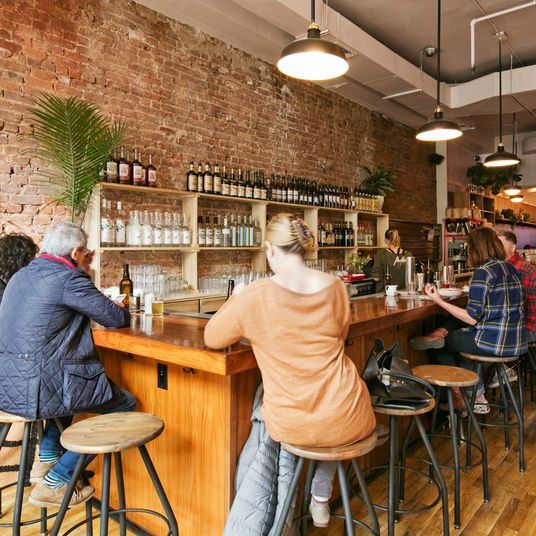 The 19th-century saloon has become a dining cliché in 21st-century Brooklyn, but somehow the conceit still works at Henry Public. Maybe it’s the authentic décor, with plenty of aged, dark wood and a wide zinc bar, or the fact that you can kinda see the East River from the big front windows (if you squint, and ignore the BQE) and pretend you’re Walt Whitman. Or maybe it’s just that the food is really, really good. Some of the retro touches feel a bit forced (dinner isn’t dinner, it’s “supper;” a burger is a “hamburger sandwich” served with “french fried potatoes”), but your meal will be so delicious you won’t care. 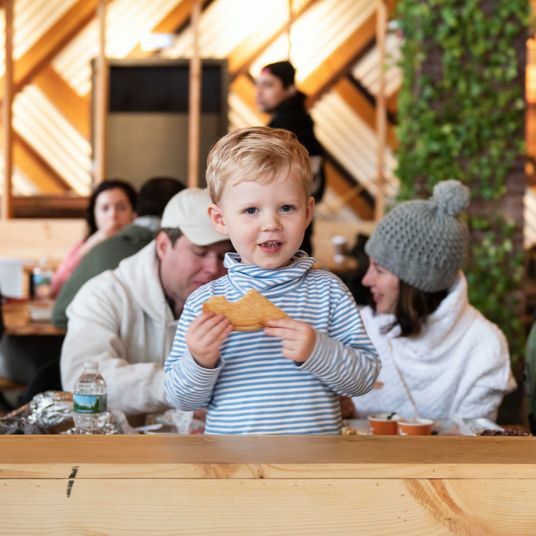 The menu is small, but everything on it is a winner, from the hearty turkey-leg sandwich and the aforementioned burger and heap of thin-cut golden fries, to the overstuffed egg sandwich and Wilkinsons (aebelskiver-esque pancake balls) at brunch. Cocktails are strong, expertly made, and creative without being complicated. 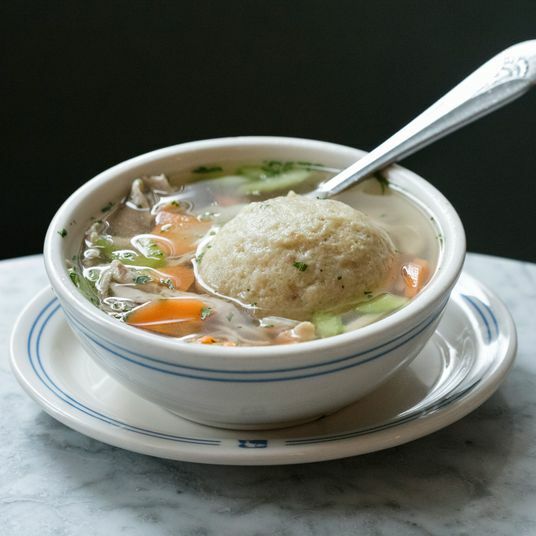 Calling Shelsky’s a restaurant is debatable: Seating is limited to a few high-tops near the front windows and the operation is definitely focused on takeout and catering. But there are few better weekend choices than stopping by this Jewish appetizing and delicatessen shop for a bagel heaped with nova or one of the excellent deli sandwiches. The thorough menu of smoked fish includes around ten types of salmon and eight types of herring, plus whitefish, mackerel, trout, and more. Over at the deli counter, homemade pastrami is served hot, juicy, and salty, cut with tangy mustard on Orwasher’s rye, alongside corned beef, tongue, and a definitely unkosher Reuben. And there are plenty of sides and snacks (Riesling-braised sauerkraut, several types of knish, kasha varnishkes) to round out your feast. 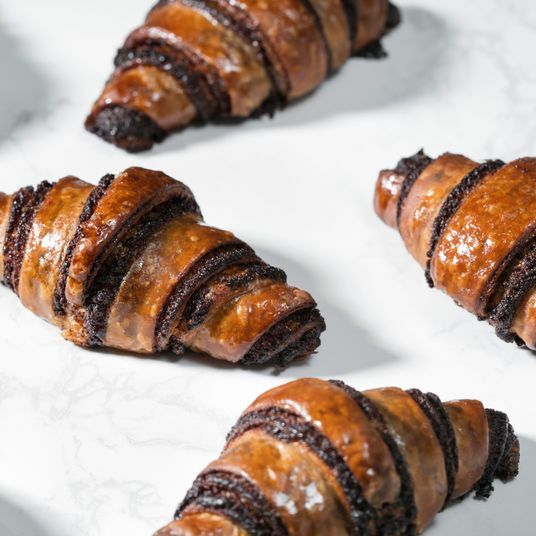 On your way out, be sure to grab a few pieces of flaky rugelach, with fillings that range from rich dark chocolate to a bright ginger-clementine mix. Long Island Bar is first and foremost a bar. 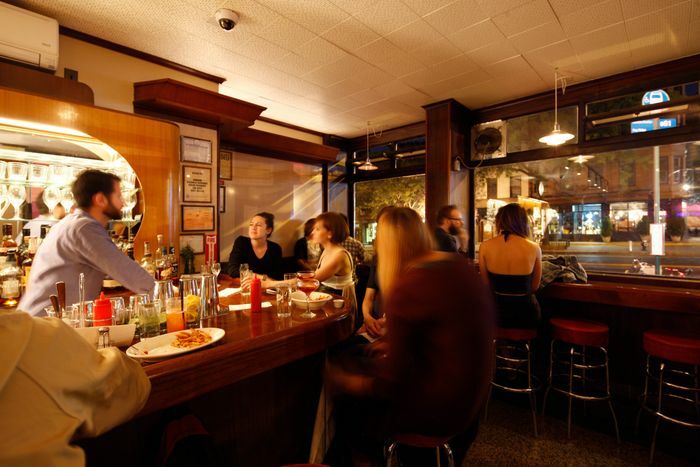 An exceptional bar, where you can get a reliably excellent boulevardier or a fresh, local IPA, and a historic bar, that first opened in 1951 and was renovated and reopened under new ownership in 2013. But it’s also stealthily one of the best dinner destinations in the neighborhood. 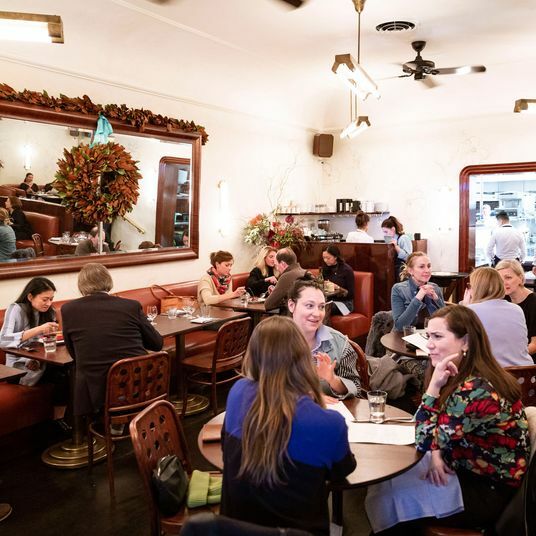 For those seeking a simple bar snack, there are deviled eggs, chicken-liver mousse on toast, and truly addictive fried cheese curds served with French onion dip. For bigger appetites, there’s a great dry-aged double cheeseburger with house “fancy sauce” or clams served with chorizo, potatoes, and toasted ciabatta to sop up the Calabrian-chile spiked broth. And after you’ve finished, the welcoming room (restored to all its mid-century glory) and friendly service will probably have you staying for another boulevardier. La Vara chef-owners Alex Raij and Eder Montero opened this modern seafood spot in the fall of 2018, reimagining the narrow space formerly occupied by their coffee shop Tekoá. While some of the Spanish influences the chefs are known for do appear, like an octopus carpaccio that originated at their Chelsea restaurant Txikito, the small menu here is more globally focused, offering anything from posole with wild shrimp to a curry-and-turmeric-spiced tuna bake. The seafood is incredibly fresh, the preparations are creative, and even the standards get an upgrade, like a tuna crudo served with a kiwi pico de gallo and fried saltines for the perfect mix of ocean-y, sweet, and salty. The minimalist wine and cocktail lists continue the theme — every spirit and bottle is sourced from an island or coastal region, and the wine list is organized by sea instead of red vs. white. 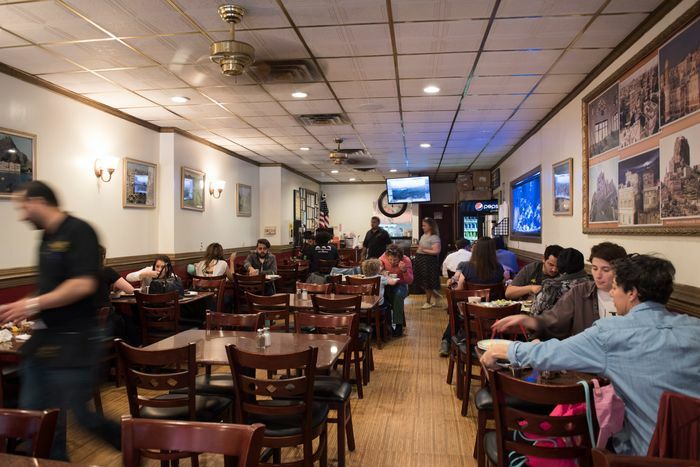 An Atlantic Avenue institution on par with Sahadi’s, Yemen Cafe has been serving Yemeni specialties like chicken zorbian and lamb agada since 1986. 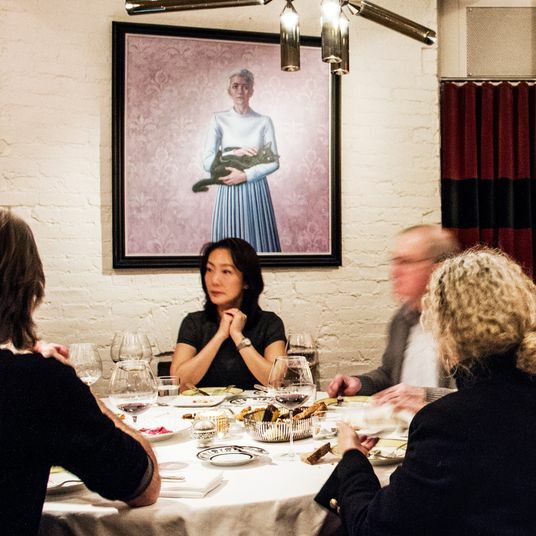 Eat in the bustling, no-frills dining room once and you’ll understand the longevity. Every meal starts with a complimentary bowl of deeply flavored lamb broth. From there, move on to appetizers like foul, a bubbling stew of fava beans, tomatoes, and onions that arrives with a massive round of warm, puffy flatbread, or entrées like lamb haneeth, a hunk of falling-off-the-bone-tender meat served on a bed of fragrant basmati rice with a puréed-vegetable sauce. Most of the dishes are big enough to share, and the more people in your group the better — you’re going to want to try a little bit of everything. 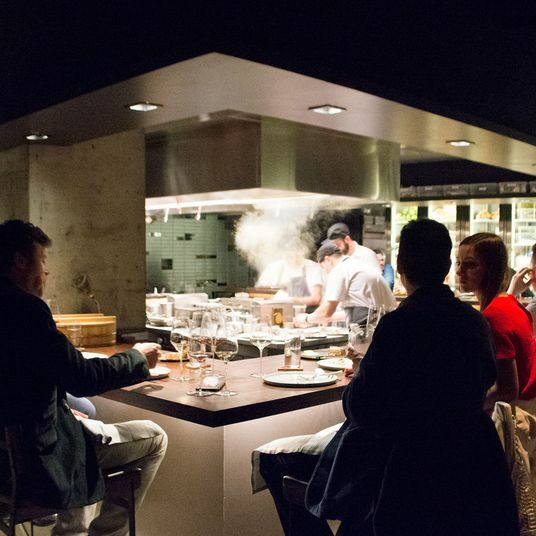 This elegant wine bar is a great spot for anyone looking to dip their toe into the world of natural wine, but the kitchen also turns out noteworthy food that’s seasonal, ingredient-driven, and heavy on vegetables and seafood. 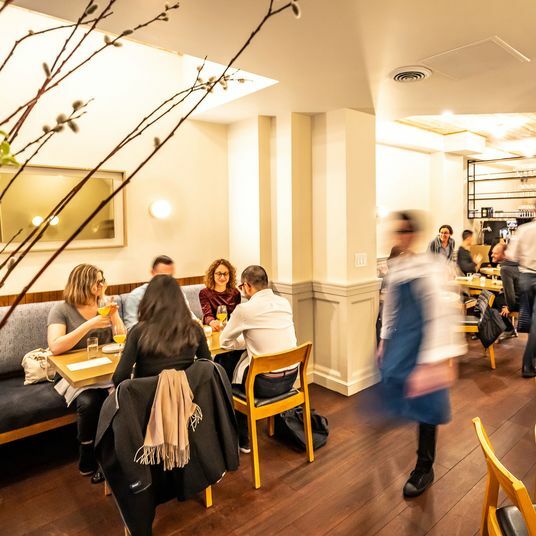 The menu is mostly focused on small plates, like tender Montauk squid tossed with cranberry beans and fennel in romesco or tempura-fried spears of summer squash drizzled with green goddess dressing, though a few larger entrées are always on offer. The wine list is expansive and interesting, and the friendly staff is always happy to help decode, recommend, or pick just the right glass of sparkling orange to go with your meal. And in nice weather, the charming two-level patio and backyard can’t be beat. Awash is one of the rare restaurants that will satisfy meat eaters and vegans in equal measure. Taking its name from a river in Ethiopia, it serves heaping portions of its home country’s cuisine, which a menu that’s almost evenly split between meat/seafood and vegan options. Omnivores can’t go wrong with classics like doro wat (chicken in a rich berbere sauce) or the special tibs (slightly spicy chunks of beef with tomatoes and onions). And on the vegan side, gomen (collards sautéed with ginger and garlic) and missir (a spicy red lentil stew) are excellent. In the classic Ethiopian fashion, everything comes served on injera, the spongy flatbread, with a few extra pieces tightly rolled on the side. Wash your meal down with a house cocktail made with honey wine or one of the Ethiopian beers, like the malty and slightly sweet St. George’s Amber ale. 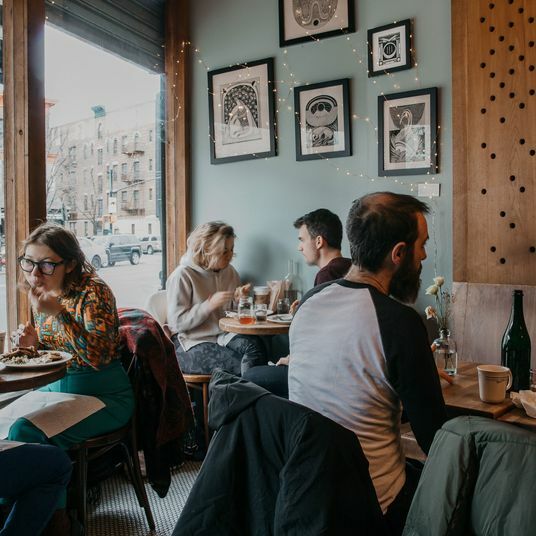 There aren’t many food options on the western edge of Cobble Hill to begin with, so Hicks Street residents should consider themselves extra lucky that their local is this mellow, creative gastropub. The menu is a mash-up of Asian and American favorites, like the requisite kale salad in a slightly spicy peanut dressing or the pillowy buns that come filled with braised pork shoulder in a char siu-esque sauce, buttermilk-fried chicken, or tofu and garlic hoisin. Fried chicken is also a highlight of the entrée options, where it’s tossed in a not-too-sweet and spicy General Tso’s sauce and served atop coconut rice and sautéed bok choy. 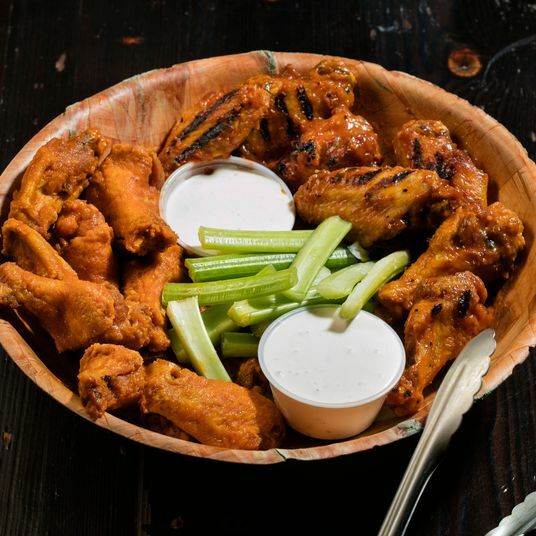 And early birds should note that the weeknight happy hour extends to food too, with one dish discounted each day. This subterranean Lebanese restaurant can be easy to miss (it shares an entrance with its upstairs neighbor, the café Swallow) but is worth seeking out. The wide-ranging menu covers all the greatest hits of Middle Eastern cooking, from excellent meza (babaganouj that has just the right mix of smoke, lemon, and garlic; super smooth, bright hummus) to falafel with an herby green interior and an extra-crunchy exterior spotted with sesame seeds. Kifta mishwiye, broiled patties of seasoned ground lamb, are juicy and well-seasoned, while grilled meats like the shish taouk and shish kabob arrive with a great char without getting dried out. Whatever you order, enjoy alongside a cup of the soothing mint tea. Watty & Meg opened in 2009, at what was probably the height of Brooklyn’s “farm to table” and “seasonal and local” dining craze. 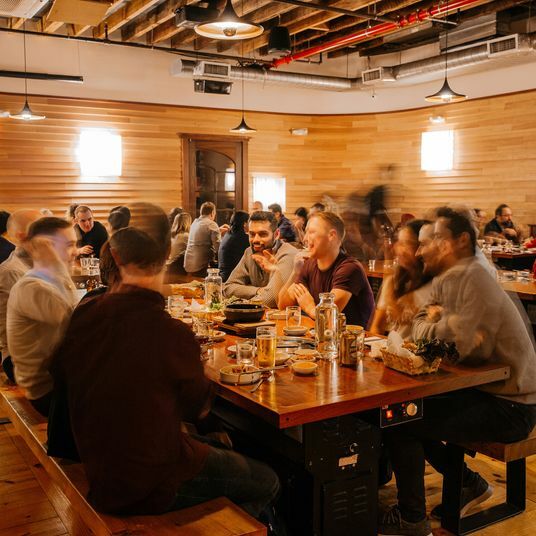 Not much has changed at the restaurant since then, but not much needed to, and it’s now settled into the comfortable type of local standby where one member of your party can get a hefty 8-ounce burger and another can get a kale-and-quinoa salad and everyone can leave happy. The menu sticks to American standards (mac and cheese, roast chicken), with a slight Southern influence (fried short ribs, trout on a bed of creamy grits). 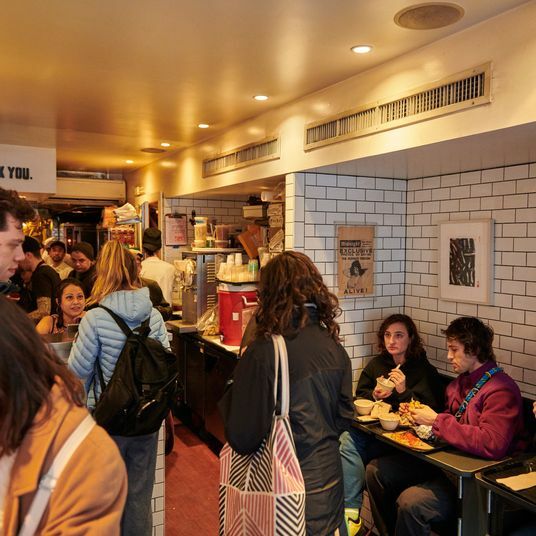 It’s adjacency to Cobble Hill Cinemas makes it a nice pick for pre- or post-movie dining and the smattering of sidewalk tables are a lovely place to enjoy a leisurely weekend brunch. 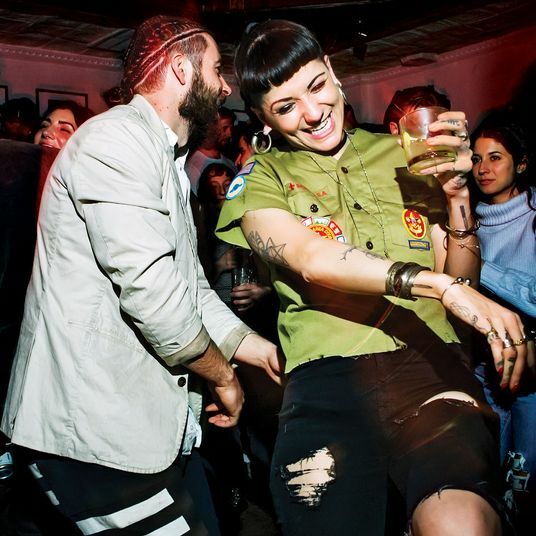 Situated on a quiet Henry Street corner, Libertador has the menu of an Argentinean steak house with the look and vibe of a casual neighborhood restaurant. The list of steaks is pretty standard (no 40-day dry-aged cuts or whopping côte de boeuf here), but the prices are appropriately reasonable and the kitchen cooks them just right and serves them with a flavorful homemade chimichurri sauce. (For those seeking something lighter, the menu has plenty of salads and pastas as well.) And the empanadas, with a flaky golden pastry crust and fillings like spiced ground beef and peppers or gooey ham and cheese, are always worth an order.